With this process we can usually match any color requirements you have. Please tell us of your particular requests and we'll promptly respond. For this process we do request vector artwork preferably in adobe illustrator. If you just said - "what the heck does that mean?" - don't worry. We can help you. 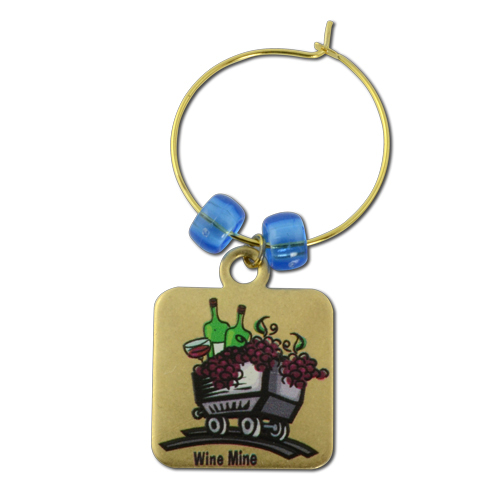 Our most popular full color wine charms! 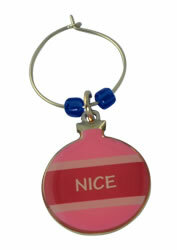 Your logo, message or picture is printed in full color on our stock shape metal wine charms. You may choose to print the entire surface, or let the metal show through - it's up to you! Your choice of brass (gold-tone) or stainless steel (silver-tone) material. Choose a round or square shape. Add an optional epoxy dome if you like. 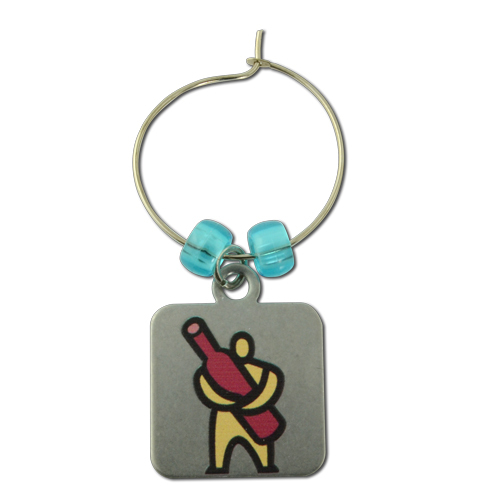 Digital wine charm with full color imprint. Includes a charm hoop and two beads per charm (your choice of 8 standard bead colors). Made in USA. Ships in 5 days! Epoxy dome - add 0.50ea plus 1 business day. Do you have a complex colorful logo that's difficult to represent in metal? Are your logo police pestering you not to change your logo in any way? Our Photique wine charms may be the answer. 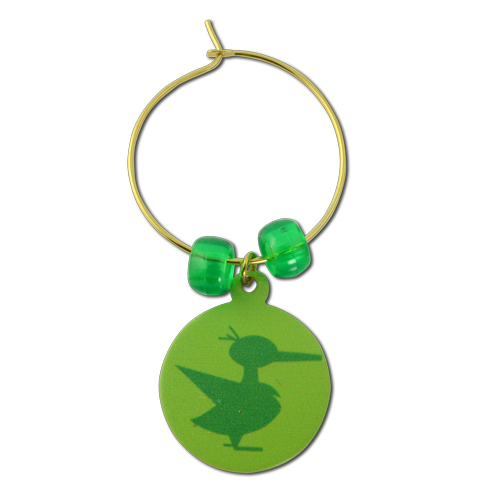 Through this process, we create a custom shaped cast charm and imprint your logo / design in full vibrant color. 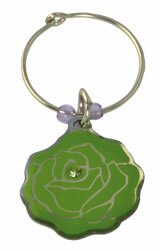 The charm itself may be finished in gold, silver, antique brass or antique pewter. A small border of metal is visible along the edge of the charm. As with our other charms, each comes with a matching charm hoop and two decorative beads. Custom photique charm up to 1" (largest dimension). Your choice of finishes on the metal charm (Gold, Silver, Antique Brass, Antique Pewter). Four color process imprint with epoxy dome. Includes charm hoop with two decorative beads per charm. Your choice of 8 bead colors (Black, Dark Blue, Light Blue, Green, Yellow, Red, Pink, Clear). If you have planned ahead and have a larger need, offset print may be a good option for you. These wine charms are made in China so the cost is considerably less. Your logo is printed in full color directly on the stainless steel metal custom shaped charm and covered with an epoxy dome.